It’s raining! So pull out your umbrellas and off we go for a walk. But who would have thought that an umbrella can make a style statement? It wouldn’t! Every umbrella has the same purpose. Rain protection. Wrong! It can be a style statement too. The rich and stylish are protecting their designer clothes and bags from raindrops, with umbrellas. Designer umbrellas! If it’s a designer product then it has to be expensive and yes it is. Very expensive. 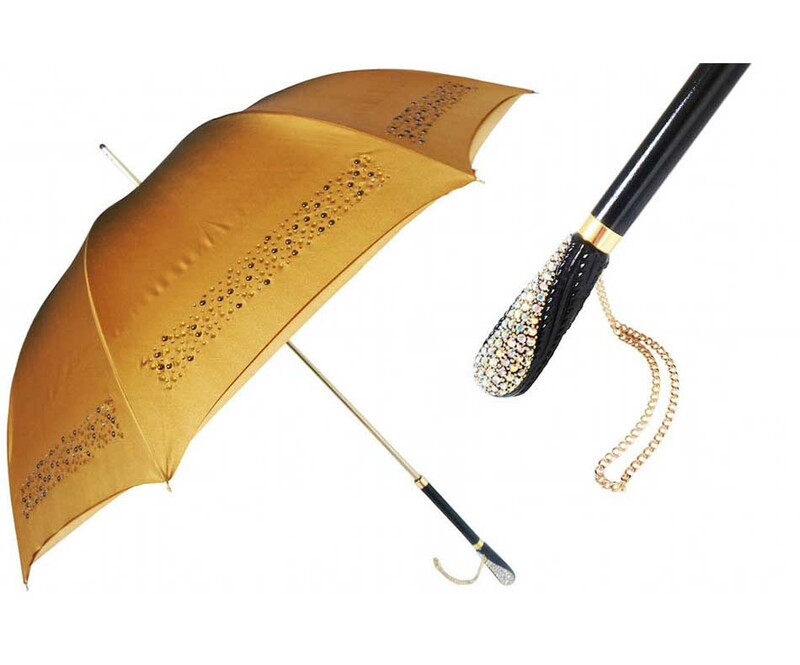 The most expensive umbrella, The Billionaire Couture Umbrella costs $50,000. 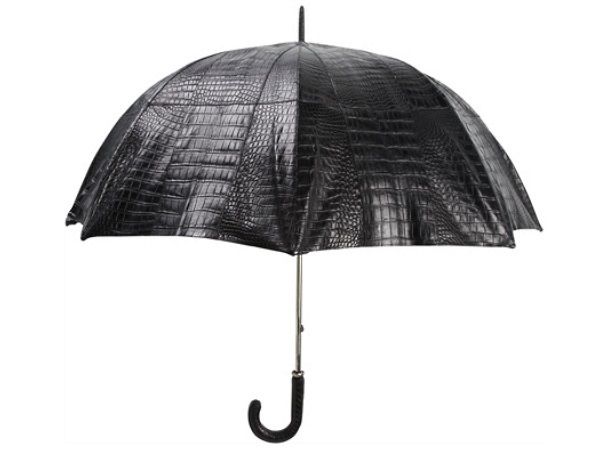 This umbrella is made out of waterproof crocodile skin. Wait, crocodile skin? From playing in the water to protecting us from it, poor crocodiles. Swaine Adeney is a British luxury brand that manufacturer’s luxurious products like bags, shoes, sunglasses and umbrellas! 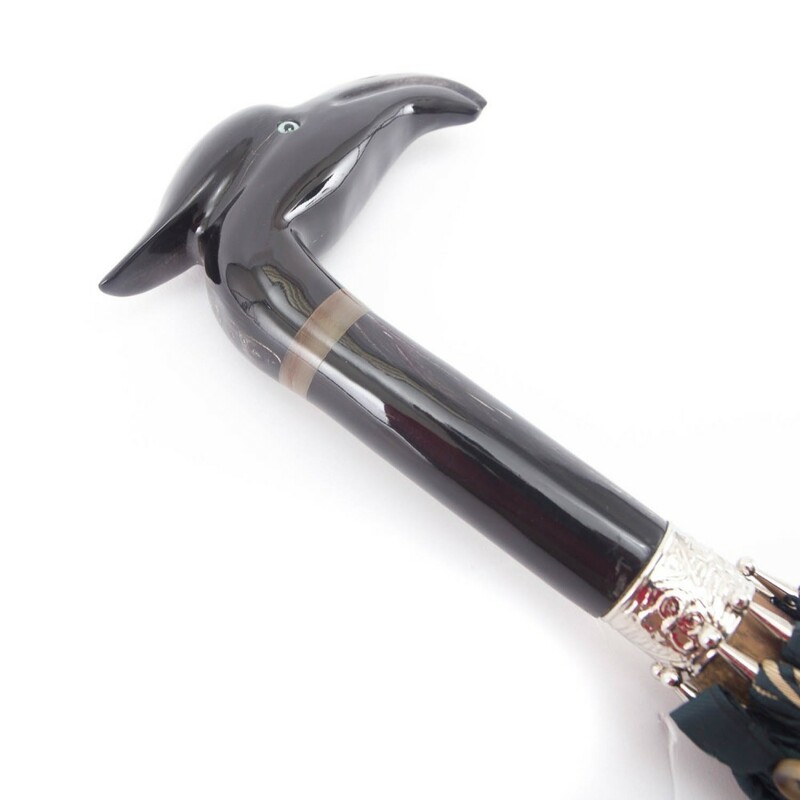 Their umbrella is designed to have two handles and equipped with a drinking flask. It’s crafted out of tulip wood with a custom made silver platting. What’s tulip wood? Even we don’t know what that is but we do know it costs $ 1,270. 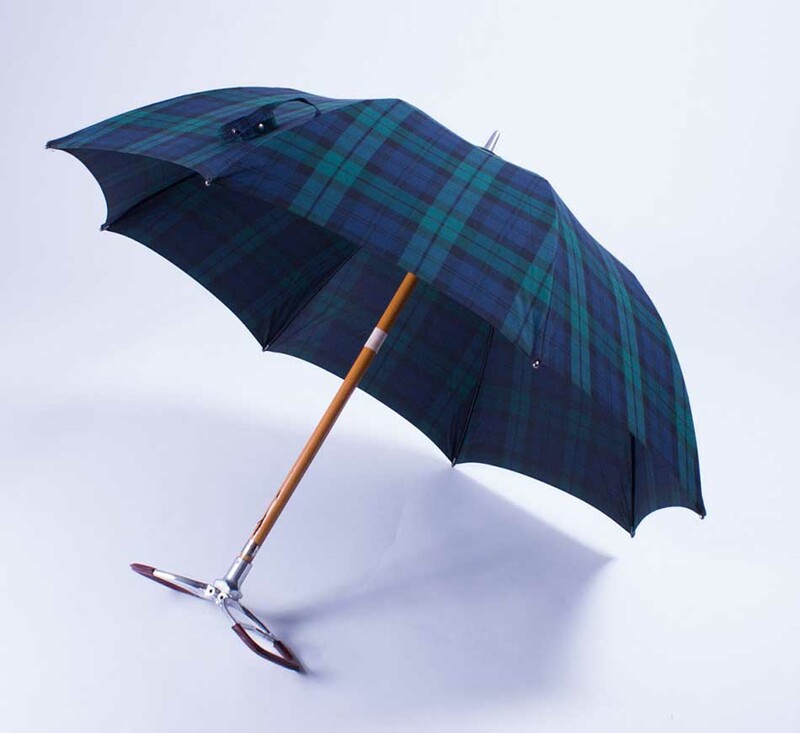 Another British luxury brand that too specializes in luxury products and umbrellas. 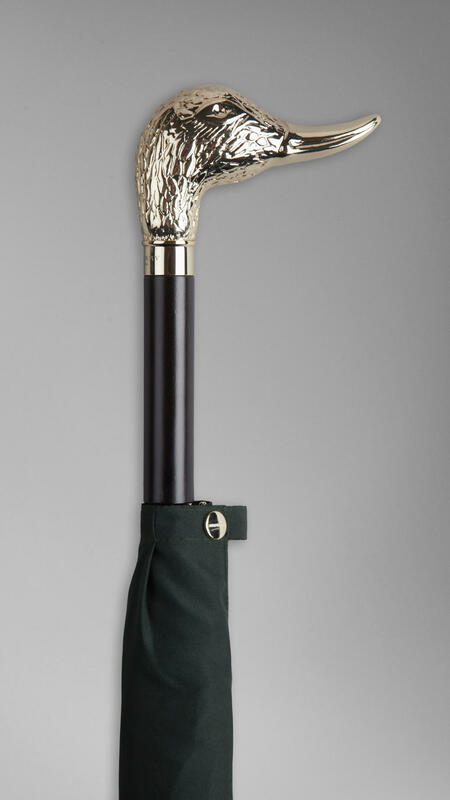 The Burberry Nubuck Ostrich Handle Umbrella as the name suggest is made out of ostrich skin. They’re made with water proof polyester which according to Burberry make people comfortable in the rain. Comfort in the rain under an umbrella? Please explain how, Burberry! 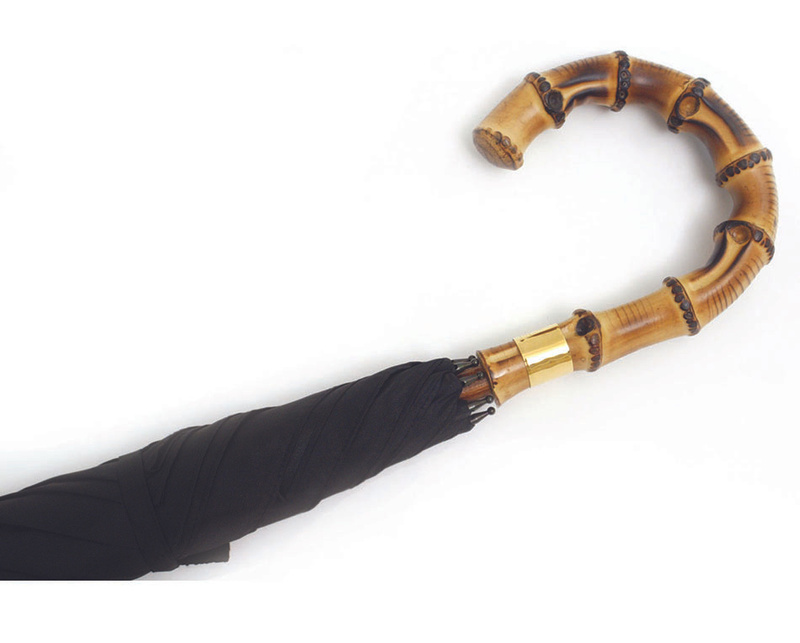 An Italian company that specializes only in handcrafted umbrellas. Their umbrellas are made individually and each one is different from other. The Horn Eagle is has an eagle head handle made of bone. Are you sure you wish to hold a bone against the rain? Late English designer Alexander McQueen had a reputation of tailoring and designing the best creations. So after his departure, the company that goes by the same name continued his legacy. 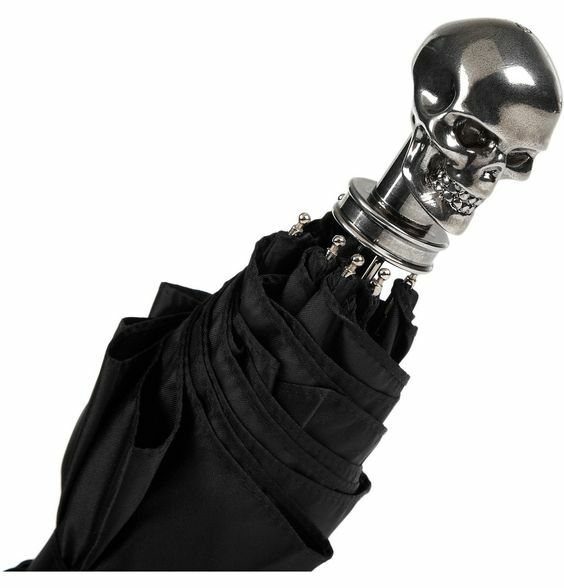 A skull handled umbrella. It’s made of water repellent fabric and the skull is gold or silver toned hardware. A skull to continue the designer’s legacy. Weird branding! They say you can put crystal on everything. But umbrellas? Pasotti, an Italian company with Swarovski have designed an umbrella with crystal buttons and handmade crystals. They are made by hand and high quality of materials are used in it. The size is large enough to accommodate two people under it. An umbrella that shines! Fancy! Every umbrella made by Maglia Francesco requires about 70 steps for finishing it. The material used for this is pure cotton with solid wood to be used for heavy rain. Queen Elizabeth uses this umbrella. The rains are here! Have any rainy ideas? 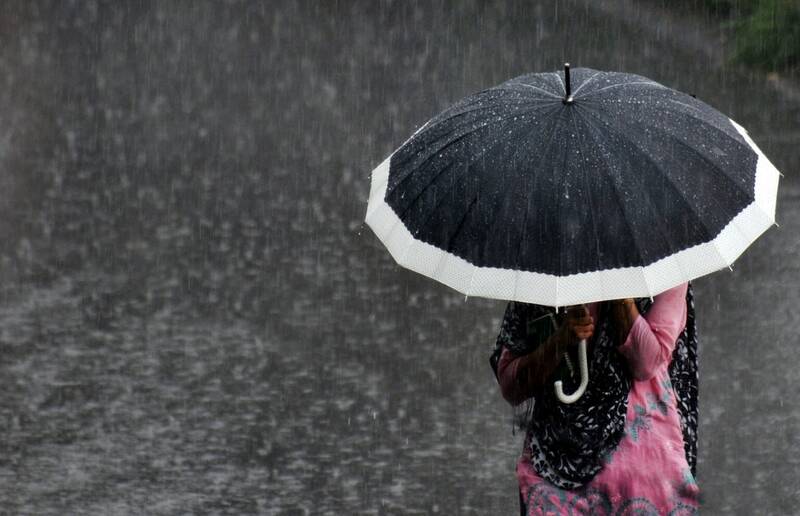 9 rainy day ideas for a date.